Cantor Shira in the Pulpit! You are here: Home / Blog / Cantor Shira in the Pulpit! The Fountains is pleased to welcome Cantor Shira Batalion to deliver the message “Growing Into the Image of God” at both services on Sunday, April 15th. Currently serving as the Rabbi/Cantor of Fountain Hills’ Congregation Beth Hagivot, Cantor Shira also serves as the music specialist at Pardes Jewish Day School. Cantor Shira was invested as a cantor through the Reconstructionist Rabbinical College in 2005 and serves as community clergy providing weddings, baby namings and other life cycle events to the non-affiliated Jewish community in the greater Phoenix area and around the country. Pastor David was honored to speak at Shabbat services at Beth Hagivot in March and is excited to have this opportunity to “exchange pulpits” with Cantor Shira. 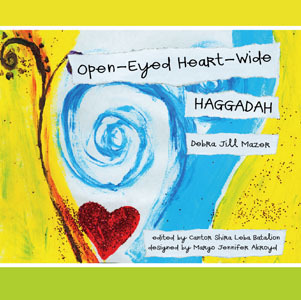 Debra Jill Mazer as a content editor to publish the ”Open-Eyed Heart-Wide Haggadah.” She is currently pursuing a degree in Holistic Health.